Under the best of circumstances, preparing an environmental impact assessment (EIA) can be a complex and challenging task. Experience indicates that the scope and quality of such analyses varies widely throughout the U.S. as well as internationally. 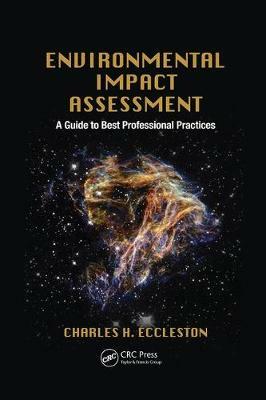 Written to help practitioners and decision-makers apply best professional practices in the development of EIAs, Environmental Impact Assessment: A Guide to Best Professional Practices provides an in depth, yet practical direction for developing a defensible analysis that meets best professional practices. To date, there is significant variation and disagreement about how such analyses should be prepared. The author introduces best professional practices (BPP) for preparing such EIAs that is intended to meet decision-making and regulatory expectations. He supplies a comprehensive and balanced skill set of tools, techniques, concepts, principles, and practices for preparing these assessments. He also includes directions for developing a comprehensive Environmental Management Systems which can be used to monitor and implement final decisions for such analyses. While the book references the U.S. National Environmental Policy Act (NEPA), most of this guidance is generally applicable to any international EIA process consistent with NEPA. With thorough coverage of all aspects of assessments, the book presents a theoretical introduction to the subject as well as practical guidance. It delivers state-of-the-art tools, techniques, and approaches for resolving EIA problems.